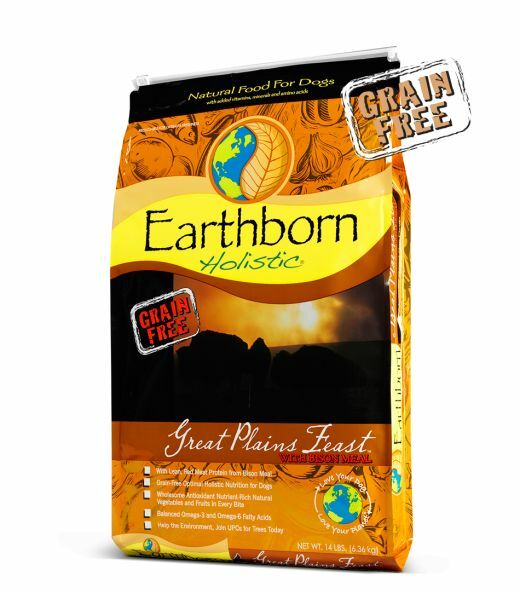 Home » Earthborn Holistic Great Plains Feast Grain-Free Dry Dog Food 28 Lb. Bison Meal, Peas, Pea Protein, Tapioca, Dried Egg, Canola Oil (preserved with Mixed Tocopherols), Beef Meal, Pacific Whiting Meal, Pea Starch, Chickpeas, Flaxseed, Alaska Pollock Meal, Natural Flavors, Pea Fiber, Blueberries, Cranberries, Apples, Carrots, Spinach, Salt, Potassium Chloride, Choline Chloride, DL-Methionine, L-Lysine, Taurine, L-Carnitine, Vitamin A Supplement, Vitamin D3 Supplement, Vitamin E Supplement, Zinc Sulfate, Ferrous Sulfate, Niacin, Folic Acid, Biotin, Manganese Sulfate, Copper Sulfate, Salt, Calcium Pantothenate, Thiamine Mononitrate, Pyridoxine Hydrochloride, Riboflavin Supplement, L-Ascorbyl-2-Polyphosphate (source of Vitamin C), Zinc Proteinate, Manganese Proteinate, Copper Proteinate, Calcium Iodate, Sodium Selenite, Cobalt Carbonate, Vitamin B12 Supplement, Yucca Schidigera Extract, Rosemary Extract, Dried Enterococcus Faecium Fermentation Product, Dried Lactobacillus Casei Fermentation Product, Dried Lactobacillus Acidophilus Fermentation Product. Earthborn Holistic® Great Plains Feast™ is formulated to meet the nutritional levels established by the AAFCO Dog Food Nutrient Profiles for all life stages, except for growth of large size dogs (70 lbs. or more as an adult).